A 32-inch TV is the best small TV that meets everyone’s budget. The compact size ensures that it is ideal for rooms of all sizes. There are various manufacturers in today’s market, competing with one another, to offer their televisions to you at steal prices. While TVs of this size do not offer outstanding high-tech features like their expensive 4K counterparts, there are those sets that do have some noteworthy features that will definitely not let you down. Some of these have excellent image quality and Full HD 1080p resolution. A few 32-inch TVs also support HDR functionality. The list below helps you make your choice regarding which television set you should consider buying. Let’s see some of the best 32-inch TVs. 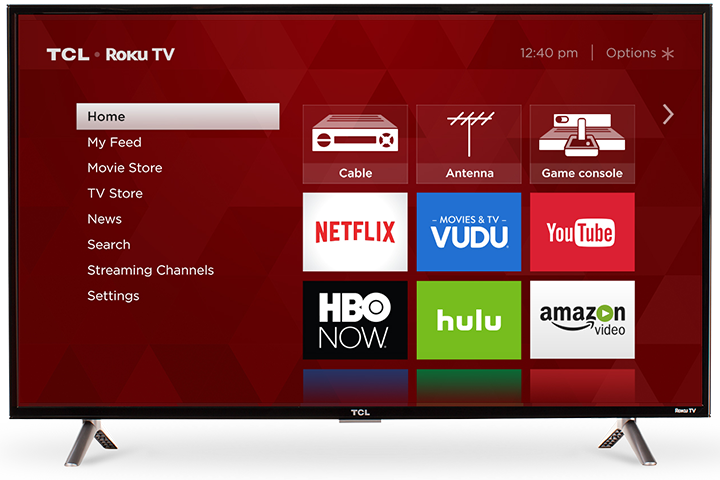 The TCL TV comes with a 720p HD resolution and a maximum 1366 x 768p resolution. This ensures crisp picture rendition with excellent clarity. The built-in direct-lit LED back-lighting produces luminous brightness and darker blacks. It retains excellent energy efficiency. The device has a refresh rate of 60 Hz. The television supports Dolby digital processing that offers an immersive sound experience as you would enjoy in a theater. The 32-inch TV has a slim design with a black frame that gives it an elegant look. The unit has multiple inputs comprising three HDMI (1 arc), a USB, a composite and component and an optical digital audio out. The HDMI inputs support connection to your favorite devices while the USB input can be used to connect to a digital camera or other USB devices. It comes fitted with two inverted V-shaped sleek and sturdy stands that add to its premium look. The Samsung Smart LED TV has a Full HD 1080p resolution that allows you to enjoy double the clarity offered by a standard television. The Smart TV functionality allows you to avail all streaming services with just the remote control of the television alone. The quad-core processor renders fast processing by allowing you to enjoy a seamless browsing experience and streaming of content with the inbuilt Wi-Fi. The processor also supports fast switching between apps effortlessly. The back-lit color technology assures you of proper color rendition. The excellent refresh rate and motion rate of 60 displays moving pictures very clearly. The television has Ultra Clean View and micro-dimming functionalities that adjust color contrasts to give you true to life high-quality images in their natural colors with less distortion. The unit has a black frame and comes attached with two horizontal stands for placing on a flat surface. 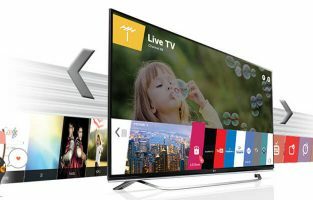 The Smart LED TV encompasses 720p resolution and a range of LEDs that allow you to enjoy high definition pictures with a dynamic color rendition that assures you of maximum clarity, crispness and detail. The LG TV supports Virtual Surround Plus technology that gives a new life to TV movies and shows with simulated surround effect just as if you are using speakers. The Smart functionality and built-in Wi-Fi allow you to gain access to your favorite content and apps using WebOS. The device also integrates advanced tone mapping technology that offers scene by scene optimization that results in more striking HD images. It supports HLG and HDR10 formats while offering compatibility with Alexa at the same time. The black frame LED TV has two HDMI inputs, a USB, an RF, an Ethernet, an optical, a composite and a shared component inputs. It also features an audio return channel support via HDMI. The television comes fitted with two matching inverted V-shaped legs for the flat mount. It works with two AA batteries. 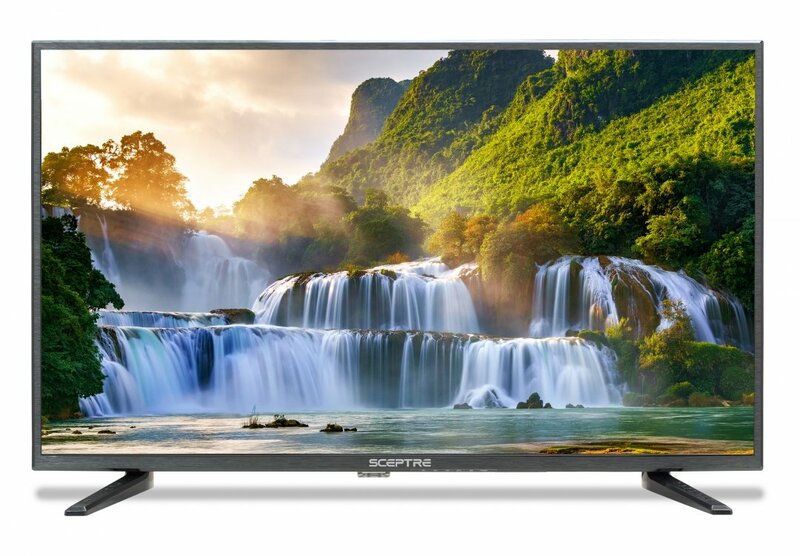 The Sceptre LED TV has a 1920 x 1080p resolution that ensures maximum crispness and clarity for the images produced. The MEMC 120 functionality supports motion estimation and motion compensation that render smooth transition of action-packed sequences from one frame to the other thereby enhancing the viewing experience. The Mobile High-definition Link (MHL) feature allows you to streamline the content from your compatible tablet or smartphone to the television. The device comes with an Energy Star V7.0 rating that meets the energy efficiency guidelines and avoids greenhouse gas emissions. The Clear QAM delivers cable channels to the HD TV without using external antennas. The television comes with a black frame and two broad legs of the same color on either side for resting the unit on a flat base. It has three HDMI ports (one of them is shared with MHL) and a USB port. You can insert your flash drive to enjoy your favorite music or see the pictures in it in a slideshow format. 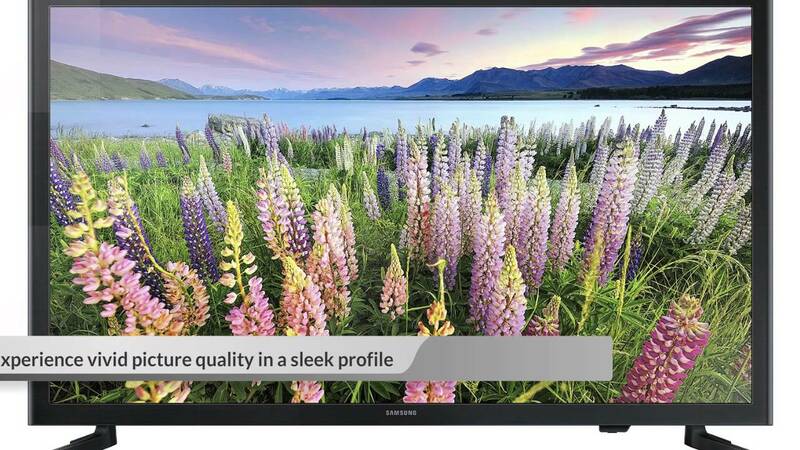 The Hitachi TV has a 1366 x 768p resolution that produces HD quality pictures on its super-clear screen. The anti-glare screen television is integrated with a Picture Perfect processor that produce high dynamic contrasts and vibrant colors that add to the viewing experience and give life to your favorite games, shows and movies. The 3D motion adaptive and automatic film processing technologies make the pictures appear sharper and smoother. The device has a 120 Hz high frequency LED backlight that renders very fast response resulting in smooth and crisp displaying of fast-paced action. It supports high definition recording. 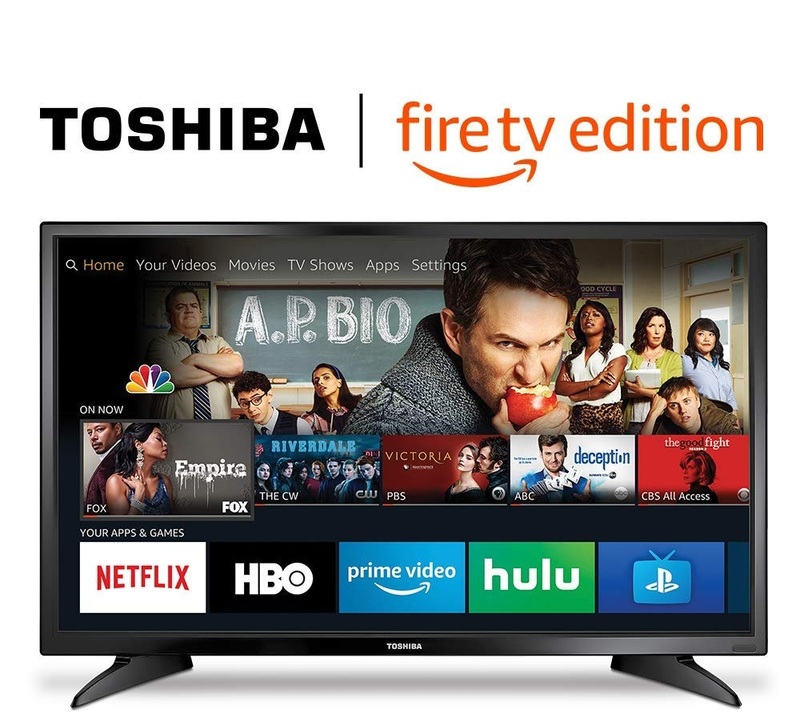 The television comes loaded with a smart and simple Roku OS that allows you to customize the home screen and choose from more than 5,000 on-demand, subscription and free movies, apps, channels and shows with an easy to use remote control. The Roku TV also offers the facility to pause and reverse scan live television programs with a maximum pause rate of 90 minutes. You can also download the Roku Mobile app on your smartphone to cast your favorite music, videos and photos. The unit comes with a very thin black frame that makes the display screen look really big and has two silver colored legs fitted on to it. 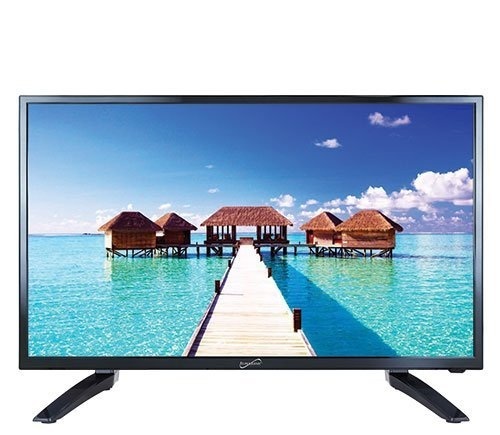 The Soulaca TV features a 1920 x 1080p Full HD resolution and has an Android 4.2.2 TV monitor. The television is fitted behind a tempered durable glass mirror and has a metal frame. The gadget is both dustproof and waterproof and is equipped with a waterproof remote control. 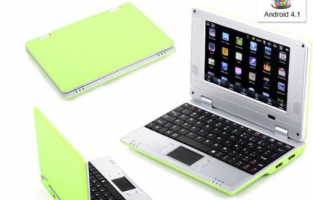 It offers various functions such as ATV/DTV, movies, the Internet, games and more. The expensive TV supports HDMI, LAN, Audio Out and USB interfaces. It comes integrated with Wi-Fi connectivity and has touch buttons. The OSD menu is available in eight international languages including English. The LED display unit has a power consumption of 80 W and an input voltage of 100 to 240 V. The television encompasses an aspect ratio of 16:9, contrast ratio of 5000:1, a viewing angle of 178 degrees and a response time of 6 ms. The TV offers the option of both placing it on a flat surface and mounting on the wall. It comes with a television holder, a user manual and a wireless mouse for Android TV. The Soulaca television is an option worth considering by people who would like to use the same in wet environments such as bathrooms where contact with water can be a cause of concern. 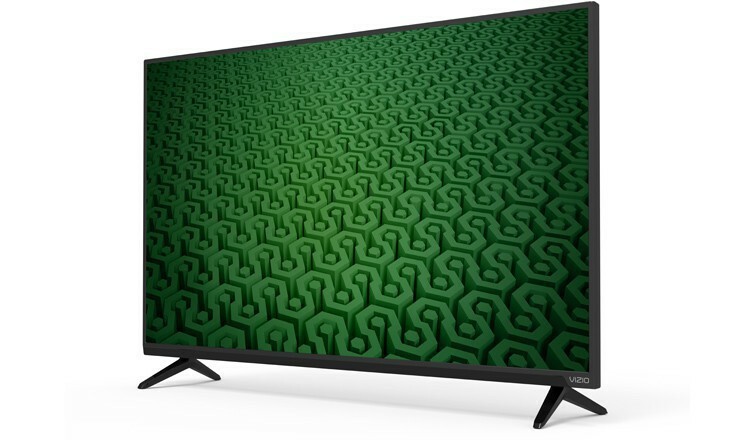 The Vizio D-Series television features 720p resolution to render crystal clear images with stunning picture quality in high-definition format. 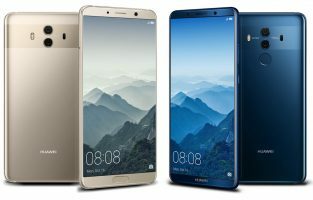 The device has LEDs uniformly distributed behind the entire screen to ensure excellent picture performance and superior light uniformity. 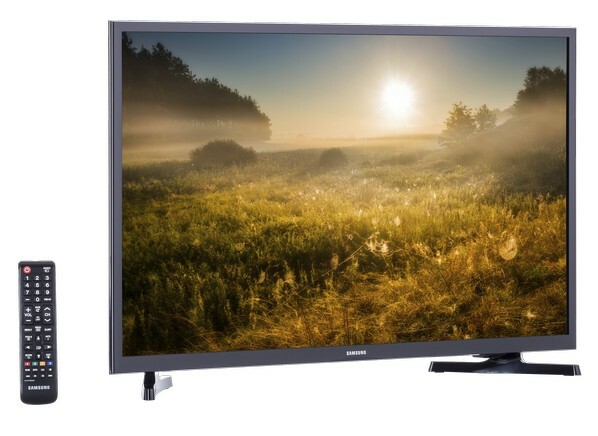 The Energy Star 7.0 certification makes the LED TV more energy efficient than its CCFL LCD TV counterparts. The two inbuilt speakers make the television capable of generating DTS studio sound. The black frame television comes with two inverted V-shaped feet fixed on it so that you can keep it on a flat surface. It comprises two HDMI ports to connect your high-definition entertainment devices and a USB multimedia port to insert your pen drive to enjoy your favorite videos, music and photos on a big screen. 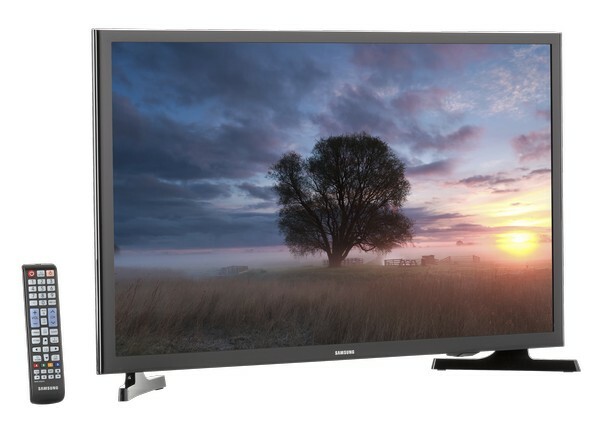 The Toshiba television comprises 720p resolution and produces high-quality images with excellent clarity. The Fire TV edition delivers rich colors and deep blacks. 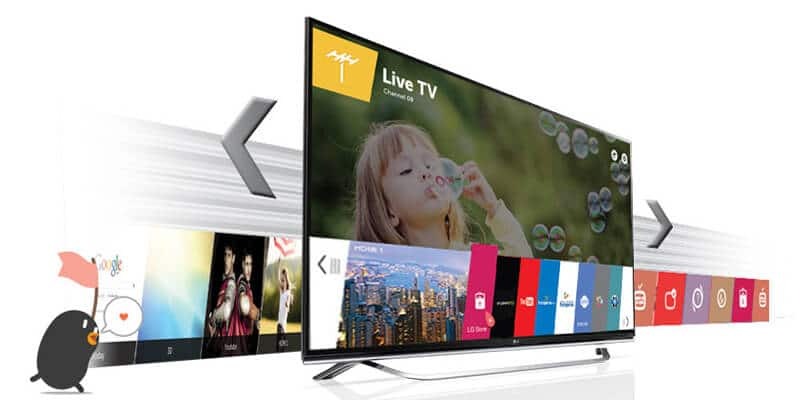 It streamlines channels and integrates live over-the-air TV seamlessly on a unified home screen with an HD antenna. The device allows you to enjoy a multitude of Alexa skills, channels and apps such as Hulu, HBO, Netflix, ShowTime, Prime Video and more. You can use the voice remote with Alexa to control your TV and launch various apps, play music, search titles, switch inputs and perform other actions with just voice-based commands. The unit supports connection to the Internet using dual-band Wi-Fi. 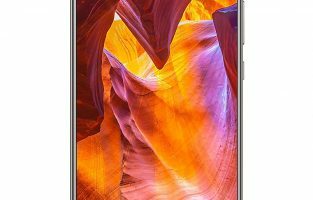 The television comprises a quad-core processor and a multi-core GPU that ensures both speed and performance at the same time. It supports over-the-air updates, thus making sure that your device always has the latest features. The device with a black frame and two matching feet stands to support a range of input and output connectivity options that include three HDMI inputs including one with ARC, a USB, an antenna/cable input, a composite input, an audio output, an optical digital output and Ethernet. 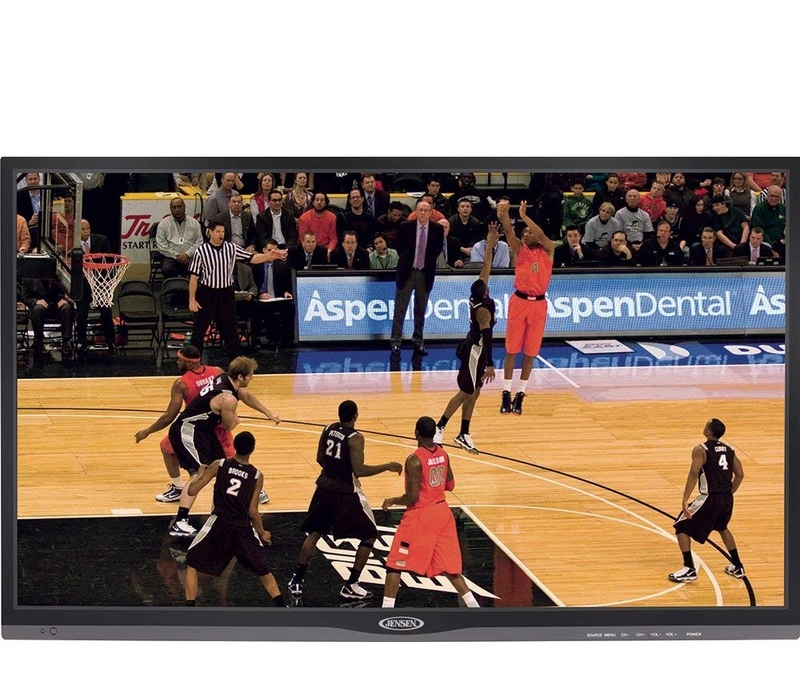 The Jensen television features a 1366 x 768p Full HD resolution and integrates an HDTV ATSC tuner. The television encompasses white LED illumination and comes with a wide, high-performance LCD panel with a 16:9 aspect ratio. The device renders 16.7 million colors while comprising 200 nit brightness and 4000:1 contrast ratio at the same time. The unit has a 16 W audio output wattage, 12 V operating voltage, 20 mA power consumption and 6.5 ms response time. The black frame television has a stereo audio input, an NTSC/PAL composite video input, a YPbPr component video input, an RF input, a USB, two HDMI inputs, a selectable fixed/variable line-level RCA audio output and a digital SPDIF audio output. It comes with a dual function DVD and TV wireless remote control and a 12 V DC blunt cut power cable. 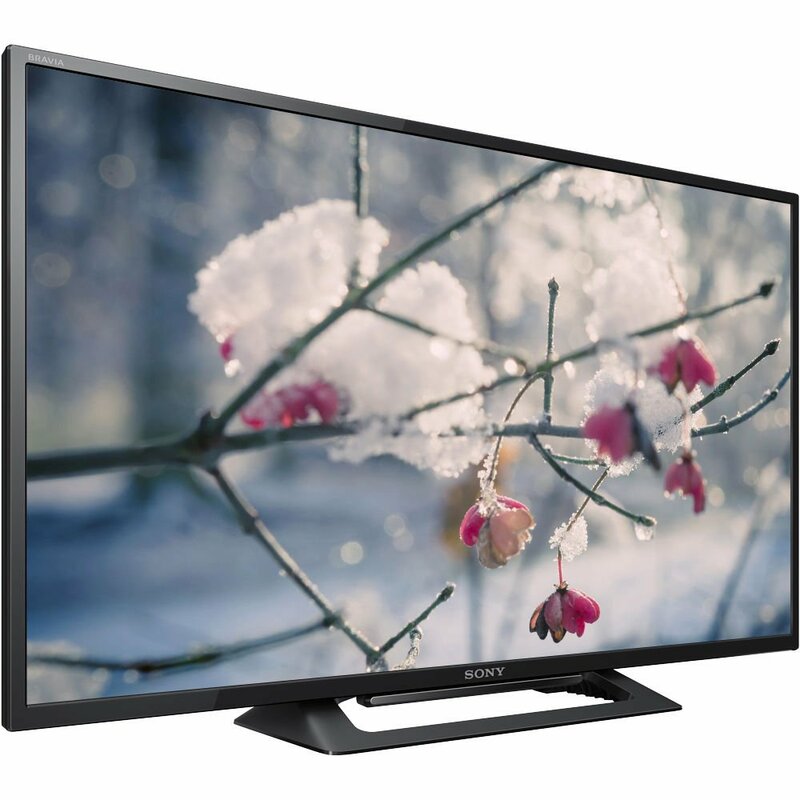 The Sony multi-system Smart LED television has Full HD 1080p resolution. The television integrates an X-Reality PRO image processing engine and a Motion Flow XR 200 technology. The image processing engine gives the perfect shape, color, texture and pattern to the images produced by video content and movies. The Motion Flow XR 200 technology makes the fast moves in action movies and sports appear realistic. The network connectivity feature allows you to connect the TV to the Internet so that you can enjoy your favorite online music and HD movies or YouTube clips on a big screen. The screen mirroring feature helps in connecting your smartphone or tablet to the television and seeing its contents through the TV. The 16 W output reproduces loud and clear audio content. The thin black frame television comes with a center silver colored stand to rest it on a flat surface. It encompasses a horde of inputs and outputs including four HDMI ports, two USB 2.0 ports, a component input and an Ethernet port. The device comes with a US plug adapter, a European plug and two AAA batteries. The Samsung television has a Full HD 1920 x 1080 resolution to display images with maximum clarity. 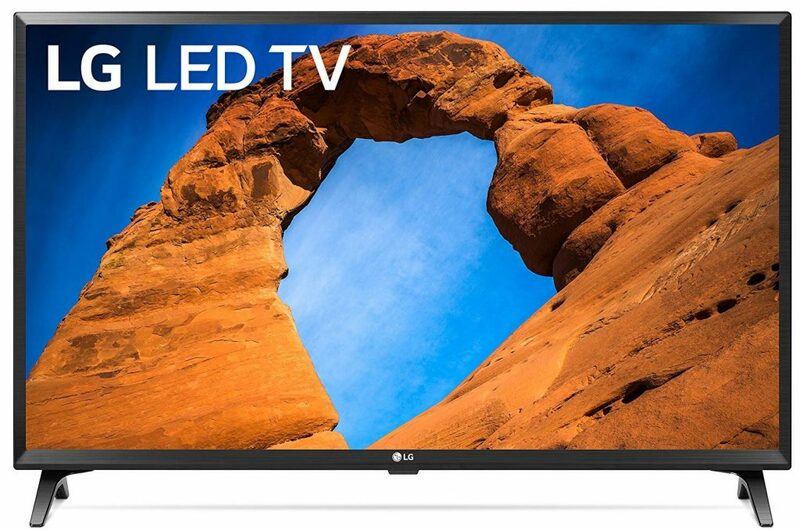 The television comes with an ultra-slim LED back-lit LCD monitor with a TFT active matrix. It features a 60 Hz refresh rate and renders 16.7 million colors with a contrast ratio of 5000:1. The excellent contrast ratio ensures bright whites and deep blacks so that you can see even the brightest and darkest scenes very clearly. The Energy savings feature helps in adjusting the screen brightness automatically to save power. It incorporates a game mode for the benefit of gamers. The glossy white frame television comes mounted on a matching angled center stand fitted on to a circular base. The 1800R curvature of the Samsung television monitor ensures that the TV is ideal for people who want to have an immersive viewing experience when watching panoramic views at their best. The ability of the television to optimize screen contrast and colors for gaming with the help of the specifically designed gaming mode makes it a good choice for gamers to enjoy every scene to the maximum extent. The Laptopland television has a 1920 x 1080p Full HD resolution that produces high-quality images. The device has a DLED type backlight display. It comes with a built-in French slot-load CD/DVD player with 1080i/720p signal output, inbuilt stereo speakers and a VESA mount pattern. The device also includes a digital volume control and parental/viewer controls. 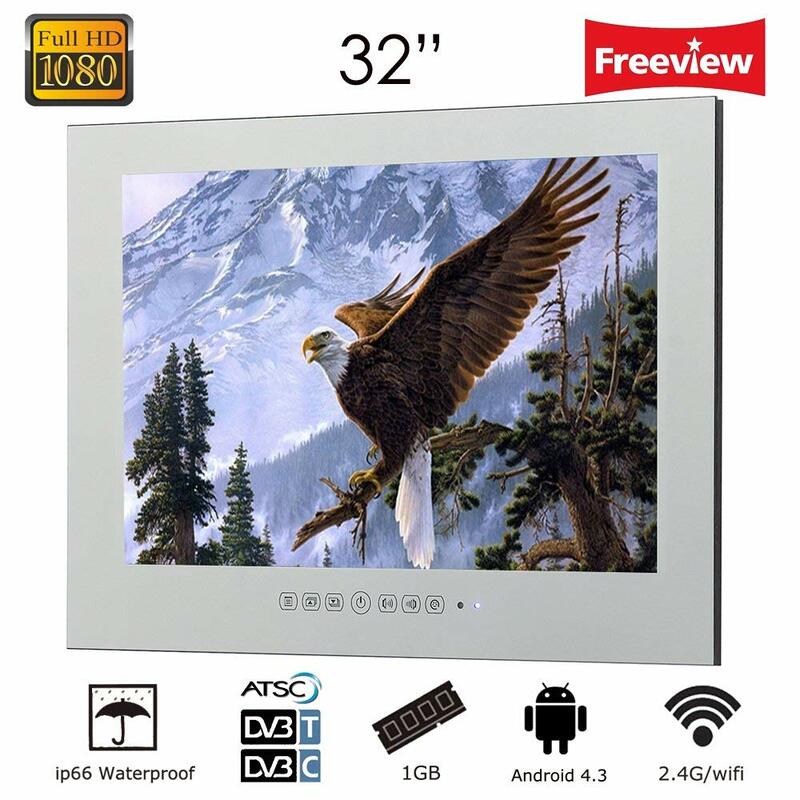 The television features a 60 Hz refresh rate, 170 degrees viewable angle, 16.7 million colors rendition, 16:9 aspect ratio and 15000:1 dynamic contrast ratio. The shiny red frame television comes fitted to a matching central swivel stand fixed to a rectangular base. The range of input and output ports include a 3.5 mm RF coaxial audio output, a 3.5 mm PC audio input, an RCA stereo audio input, an optical digital audio output, a USB port, an analog NTSC tuner, a digital ATSC tuner, an Ethernet port, a composite port and three component HDMI inputs. The red color makes the device ideal for those who want a change from the usual black color option. The Supersonic television has a 1080p HD LED widescreen that displays images with utmost crispness and clarity. The television is capable of eliminating disturbances due to external noise to enhance the viewing experience. The color balance feature ensures that the screen displays optimum colors in high definition format that are pleasing to the human eyes. The device has an aspect ratio of 16:9. The black frame television has a matching broad black stand fitted on either end to rest it firmly on a flat surface. It has HDMI inputs, a PC input and a USB input. The PC input allows you to use the television as a computer while the USB input allows you to enjoy your favorite photos and music on a big screen. The first in the list of best 32 inch TVs 2019 is this model from TCL. This TV from TCL has a modern look and it offers some exciting features too. The HD display screen has a classy design and will look perfect in your living room. The interface of the TV is quite easy to operate and you have more than 4,000 streaming channels, gaming consoles, and other devices which can be operated seamlessly. The menu isn’t complicated at all and you have all your favorite channels at your fingertips. The built-in tuner lets you enjoy all the over the air channels which are free. You can search the streaming channels by actor, title etc. from one place with Roku Search. The 20 button remote is easy to handle and navigate. 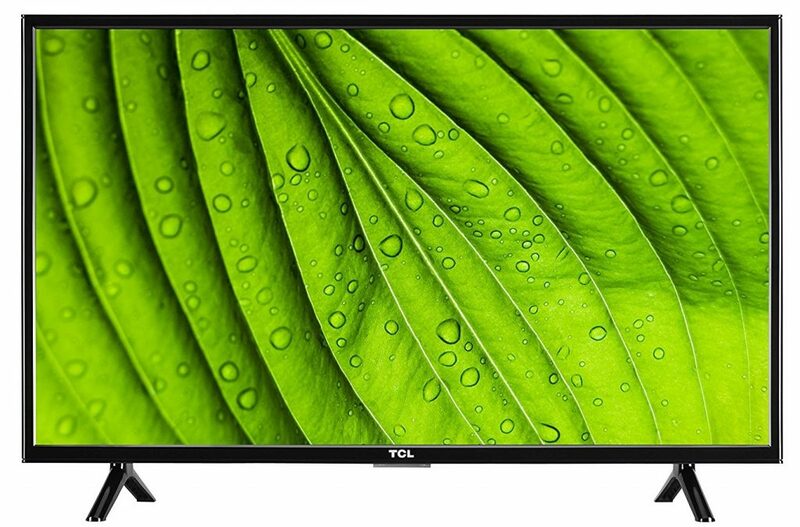 The direct-lit LED displays pictures of high quality The refresh rate of this TCL model is 60 Hz so even the fastest scenes are seen without any blur. This 32-inch screen from Sceptre is a delight to own. 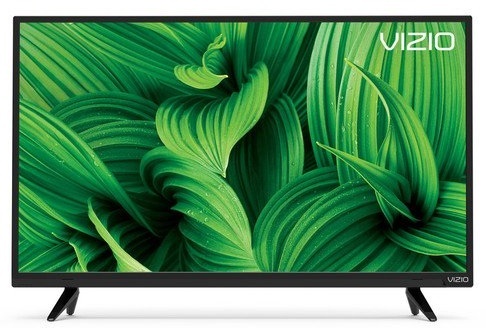 For all those who support eco-friendly products, this TV is a must buy. The Sceptre TV bears Energy Star V7.0 which is given by the United States Department of Energy and the United States Environmental Protection Agency to products that are environmental friendly. The TV prevents greenhouse gas emission and meets the guidelines set by the above-mentioned departments. You can stream from your mobile or tablet to the TV. You can also use a flash drive in the TV and watch your favorite movies or videos or listen to music. With a resolution of 720 pixels, the HD screen offers clear and crisp pictures. 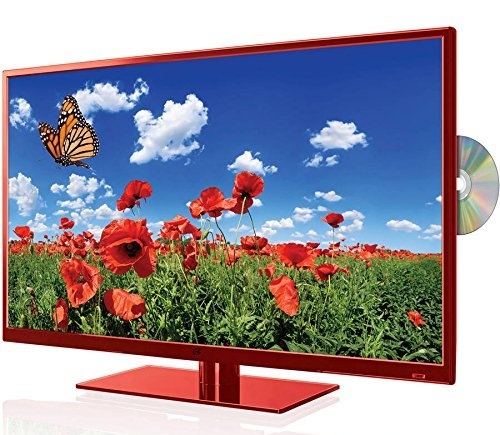 The J4001 32 inch model from Samsung is a 720 pixels HD TV that offers clear and vibrant display. Offering a Motion Rate of 60 Hz the resolution of the pictures are clear even with the fastest scenes. The design is sleek and the TV is quite light in weight making it transportable quite easily. Clarity in pictures can be clearly seen and the colors are so lively that they make the screen look alive. 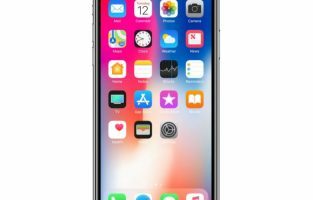 You also get a 60-day free technical support on the phone so you can configure, connect and troubleshoot any problems on the phone. Samsung’s UN2J4001 is one of the best 32 inch TVs 2019. One of the best brands to own when it comes to electronics; this model of Samsung TV is a magnificent buy. The display of the TV is full HD and it has a resolution of 1080 pixels so you can watch things clearly. Wide Colour Enhancer feature of this TV offers enriched colors and high picture quality even on non-HD content. The ConnectShare Movie feature lets you connect and play movies or videos from a USB enabled camera directly. You can all use USB’s and view your photos, listen to songs or watch movies. The DTS Premium Sound is in-built in the TV so you get the best quality sound. Along with clear pictures, you also get clear dialogues. Every pixel of the picture is loaded with clarity when displayed on the 1080 pixel Full HD screen of VIZIO D32-D1D. Equal distribution of LED behind the screen helps the picture to have uniform light. You can now see fast-moving content highly accurately with the Clear Action 420. All the action scenes of the movies or from fast sports or the action in the video games are displayed without any motion blur or ghosting. You get a full-screen app home so you can navigate them easily. The apps are also updated automatically so you get to enjoy the latest features. This is a marvelous smart TV from LG and it offers 720 pixels HD LED. The Colour Master Engineer lets you experience clear pictures with enhanced colors – so the black is blacker and the whites are pure while the other colors are more vibrant and energetic. The colors of the pictures look extremely pretty and life-like. A special process helps in enhancing the color wheel so the hue and luminance of the colors are bettered. Besides just watching online content you can also queue up movies according to your choice. You can also download your favorite apps such as Hulu, Netflix, Amazon Video, VUDU, and others. The LG TV Plus app lets you connect your mobile to the TV and access all its content. The LG Virtual Surround gives a surround effect enhancing the TV viewing experience. 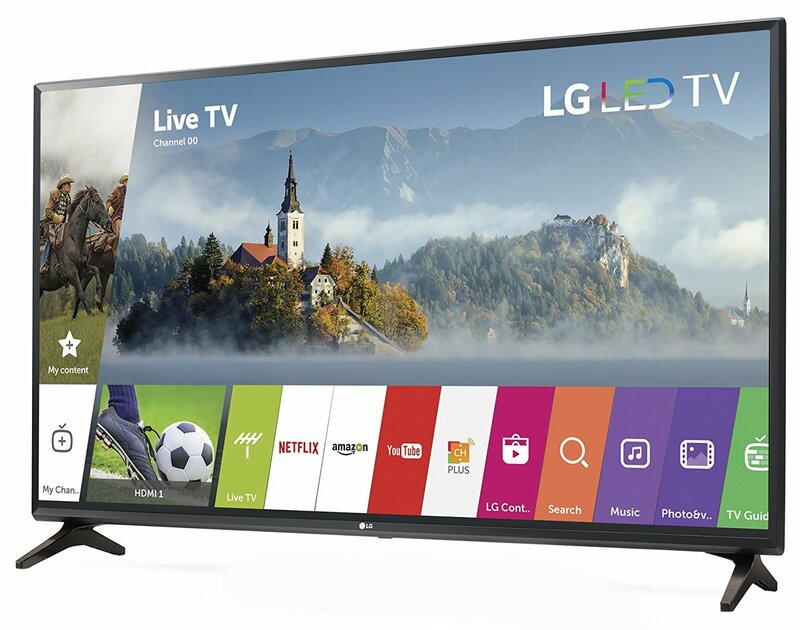 With so many exciting features waiting for you to explore this LG model is one of the best 32 inch TVs 2019. 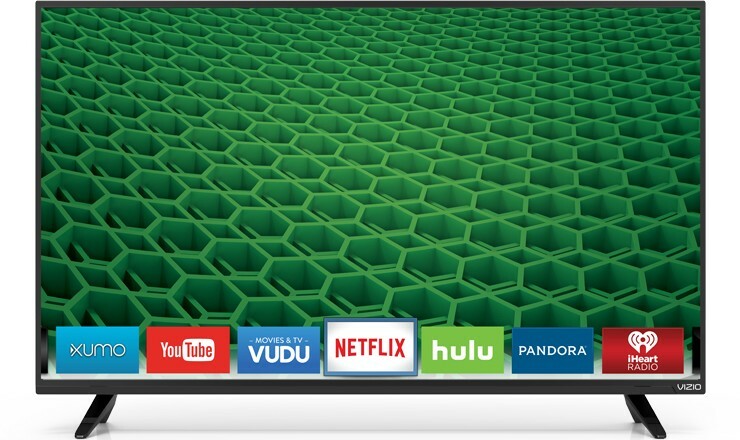 This Full-Array LED TV from VIZIO offers a unique design and excellent picture quality. 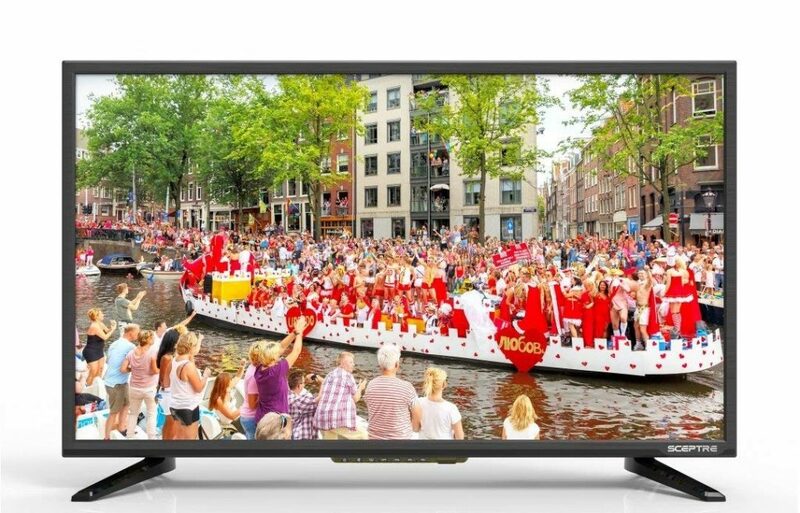 The Full-Array backlighting helps in distributing the LED’s at the back of the screen so the light is distributed uniformly and the performance of the picture on the screen is incredible.720 pixels HD resolution of the display lets you see crystal clear pictures on your TV screen. You also get a year’s warranty from the manufacturer with no extra costs. The Refresh rate is 60 Hz which effectively works on fast scenes so you can enjoy them without any blur. The remote is easy to operate as the buttons located on them are few and distinct so you don’t have to waste time in locating every button. 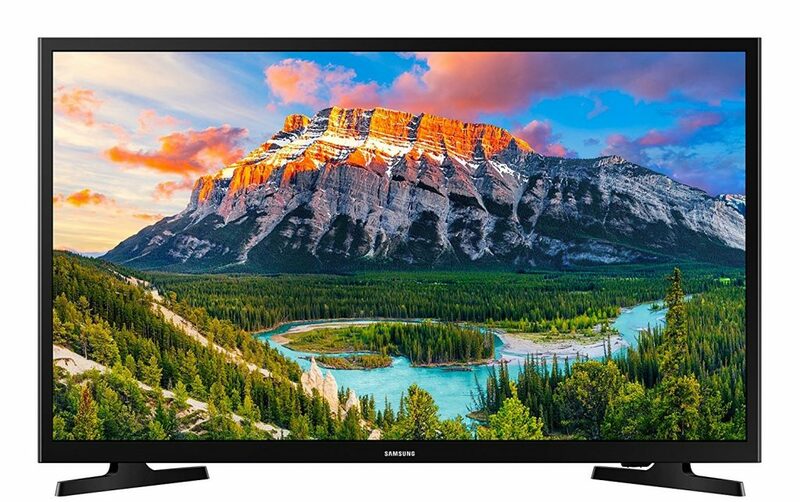 The M4500A from Samsung is an HD Smart TV with a vibrant display. It defines every detail of the picture that is being displayed on it. You get a built-in WiFi so you can connect your TV with it and experience the world of online content through it. The UltraClean View feature evaluates original content with an advanced system for superb quality pictures. The crisp and clear pictures viewed on its HD screen are a feast for your eyes. The Pru Colour feature brings out the accuracy in each color. The Samsung Smart Hub lets you locate your programs, music, shows, and movies. The last on the list of best 32-inch TVs 2019 is a Sony TV. It has the X-Reality PRO feature that lets you enjoy sharp and clear pictures. You get gleaming pictures with clear sound. The built-in Wi-Fi lets you connect the TV so you can browse and enjoy video channels online. 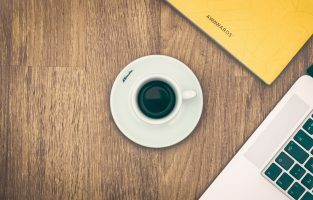 You can also connect the USB and enjoy a variety of digital content as it supports a variety of codecs. The sound frequencies are managed by a computer model built-in the TV so you get to hear a smooth and clear sound. Samsung also offers screen mirroring so you can enjoy all the content on your mobile on a bigger screen. 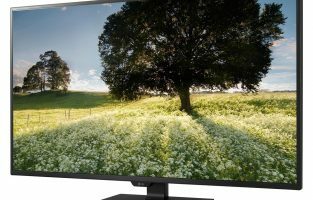 There are different types of 32-inch televisions in today’s market for you to make your choice. 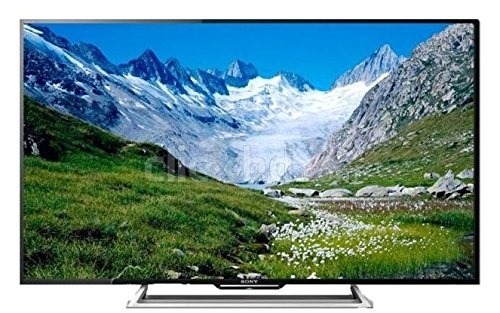 You can make a decision based on the type of resolution the television offers – 720p or 1080p. Alternatively, how and where you decide to place your television is another deciding factor. While some televisions feature only either flat mount or wall mount, there are devices that come with both mounting options. You can also narrow down your selection based on the manufacturer. 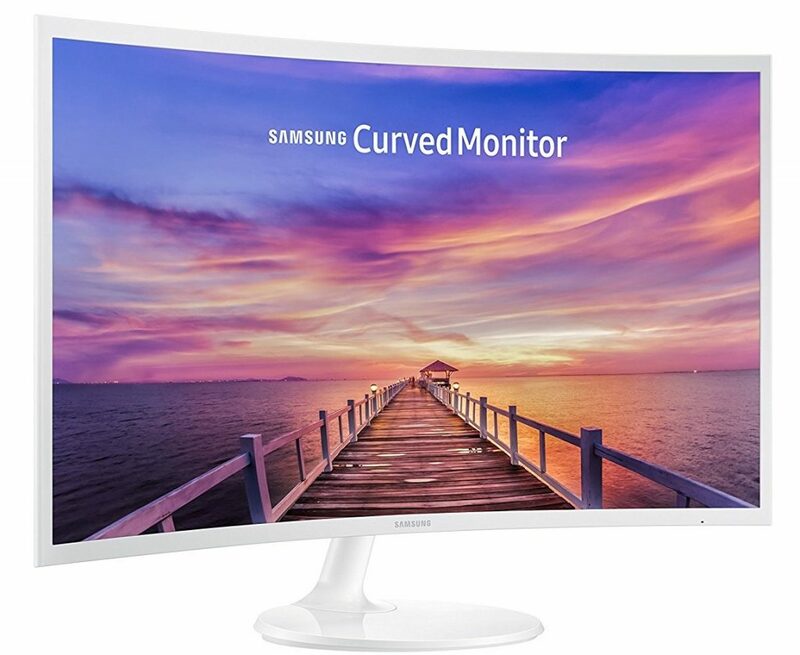 If panorama modes impress you a lot, consider opting for a 32-inch TV with a curved screen. Game lovers can restrict their choice to taking their pick from those televisions that support a game mode. Last but not least, the type of devices that you want to connect to your unit helps you make a decision based on the input and output ports present in the television.